We are still on a roll, you guys! 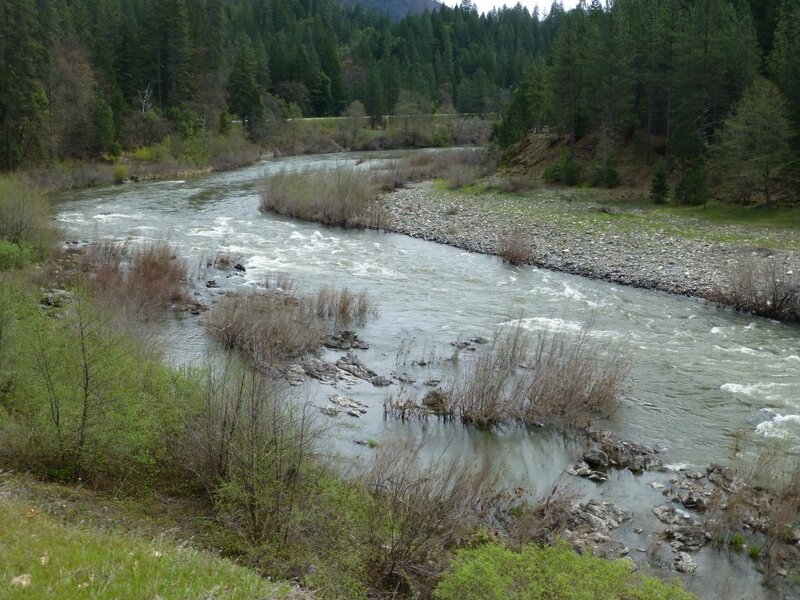 After waiting 28 years, we have finally acquired the 1.25-mile stretch of Klamath River which connects to the downstream end of our K-14 property. This will now provide us with a three-mile stretch of river extending from just up from the mouth of Fort Goff Creek all the way to the downstream side of Seiad. 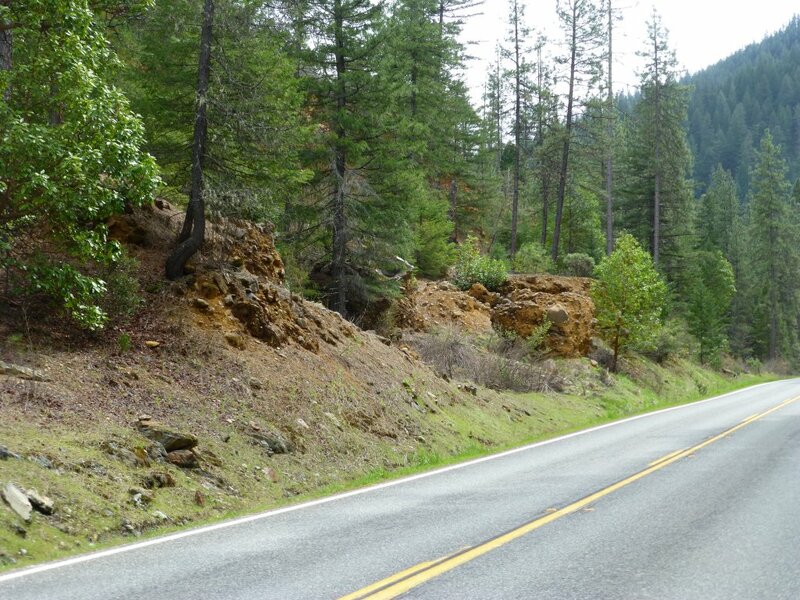 This was one of the original mining properties I acquired when I first arrived on the Klamath back in 1984. A representative of the West End Prospector’s Club (Los Angeles area) had asked me during 1985 if I would sell them a claim that would provide good river access, plenty of camping, and easy access to gold. This property was ideally-suited for a mining association. I was having second thoughts about selling the property, because I was having early thoughts about starting a mining association to be based in Happy Camp. Since the guy traveled all the way to Happy Camp to buy the property, I set my personal reservations aside and went through with the deal. But I have regretted selling that claim since the day I did it. We started The New 49’ers a few months later, doing our first promotional event in Quartzsite, Arizona in January of 1986. Shortly afterwards, several of our members made a very rich gold strike on the lower end of K-14, just upstream of the property I sold to West End. Our members were recovering lots of beautiful gold nuggets off of shallow bedrock on the Highway 96 side of the river. There was a small gold rush in there, and it wasn’t long before the Stumpf brothers located a rich pay-streak further out in the river. As far as I know, none of our members ever crossed the boundary line and pursued the continuation of those gold deposits onto the West End side. We can do that now! Our K-13 and K-14 properties just upstream have been excellent gold producers in the surface deposits. We ran successful weekend high-banking projects on both of those properties for many years. I know the gold continues down across this new property, because some of the West End guys used to attend our weekly potlucks. They confided in me that they were recovering good gold both in and outside of the river. The problem most of those guys were experiencing was the great distance they had to travel to arrive at this property. Most of them were working jobs, so they could not spend much time along the Klamath River. In fact, it was just a few West-enders that we ever saw on the extensive property. The downstream boundary marker of this new property can be found near mile marker 56.10, just upstream from the USFS Campground at FortGoff. 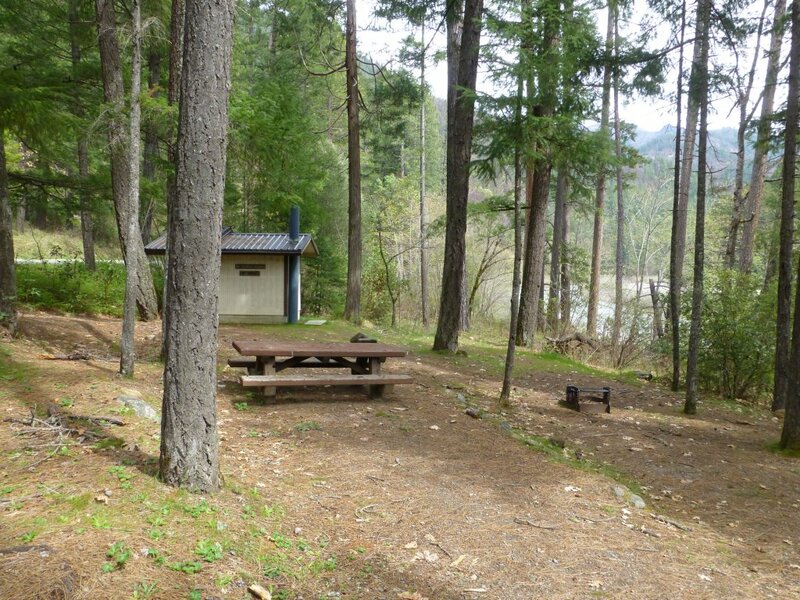 This is an excellent (free) campground that includes picnic tables, BBQ pits and a toilet. My guess is that USFS will enforce a 2-week camping limit inside one of their own official campgrounds. About a half-mile upstream on Highway 96 at mile marker 56.68, you will find an official USFS Portuguese Creek River Access. There are also some camping areas available there, along with an excellent boat ramp for launching gear into the river. Walking upstream just a short distance will bring you to some exposed and shallow bedrock along an extensive bar that extends the better part of a mile along the Highway-96 side of the river. I’m guessing this is going to provide our members with excellent surface mining opportunities for many years to come. Don’t be surprised if you find us doing the weekend group projects in this area. This entire 1-mile stretch has bedrock showing here and there as it slopes into shallow river. This will be a good place to pursue our new methods of underwater crevice mining. There is also an extensive bar on the far side of the river towards the lower end of the property. It would be hard to miss the very rough and irregular portions of exposed bedrock that are slanting into the river there (See image above). Since we had substantial success a mile upstream both in and out of the river on K-14, and more substantial success both in and out of the river on K-15A about a mile downstream, I estimate it is about a 100% chance we will have great success in finding what we are looking for over there, as well. In all the time I have been on the river, I have never seen anyone prospecting the far side of the river on this property. One thing you notice on this new claim, more than in other areas along the river, is the workings left behind by extensive historical mining. There are piles of rocks everywhere, along with the skeletons of ancient streambed deposits which were too hard for the old-timers to work. The upper end of this new property provides even more shaded camping. There is an old road up there that extends all the way down to the river near the upper end of the property. The road is blocked to full sized vehicle travel at the moment. ATV’s might make good use of the road. To my knowledge, very little mining activity has taken place on this property. We have been waiting patiently to reacquire the long stretch of river for a very long time. Now we have it! Opposition to Oregon Senate Bills 838 and 401! Several anti-mining bills are now fast-tracking through the Oregon State Senate. If these destructive bills are passed into law, it will put a complete end to suction dredging and all other forms of motorized gold mining within a quarter-mile of all or most waterways in the entire State of Oregon! If we do not all pull together and kill these bills right now, we will find ourselves devoting years trying to overcome them through expensive litigation. We must flood the Oregon senate with very vocal opposition right now! All members are invited to attend our weekend Group Mining Projects and keep an equal share of the gold that we recover. Here are our planned events for the upcoming season: June 1 & 2; June 22 & 23; July 13 & 14; August 3 & 4; August 24 & 25. The U.S. Supreme Court chose to not accept our Petition to overturn a recent Ninth Circuit Decision which directs the U.S. Forest Service (USFS) to pursue an endangered species (ESA) consultation before allowing mining under a Notice of Intent (NOI). In case you didn’t know, USFS had opposed our Petition to the Supreme Court based upon the argument that the Ninth Circuit’s Decision did not really change anything important in the way they do business. Now that the Ninth’s Decision is final, the focus will turn to the way USFS does business concerning small-scale mining and prospecting on the public lands. Early on, a suggestion was originated by anti-mining activists that any use of a motor on the public lands would now require an ESA consultation. We do not believe there is any merit to that idea. That suggestion seems to have quieted down for the moment. But I will not be surprised if our enemies file another lawsuit to challenge the way USFS does business concerning small-scale mining. This is the way our enemies do it. Step by step, they attempt to chip away at our freedoms and opportunities. Being that there is some ongoing confusion over what existing USFS regulations are concerning small-scale mining activity on the public lands, I asked our attorney to provide us with a summary of the important points, particularly on the subject of operating small motors. Here is the Memo. The purpose of the Memo is to provide you with an accurate explanation that you can rely upon. If there is anything you are uncertain about, please make contact with our Director of Internal Affairs. He can be found on our Contact page. Here it is as I understand it: The mining laws allow all Americans free access on the public lands for the purpose of prospecting. There is no requirement of making contact, getting permission or giving notice (NOI) to any authorities until such time that we believe our activities will create a significant surface impact. We are only requested to file a Notice of Intent (NOI) with the U.S. Forest Service (USFS) if we believe our prospecting may create a significant impact. Filing an NOI is not a requirement. There is no penalty for not filing an NOI. Once (if) an NOI was filed, the USFS Ranger used to go through an internal process to assess if what we were doing was likely to create a significant surface impact. Now the Ninth Circuit has decided the Ranger will be required to consult with other agencies to perform this assessment. That is likely to involve more time. 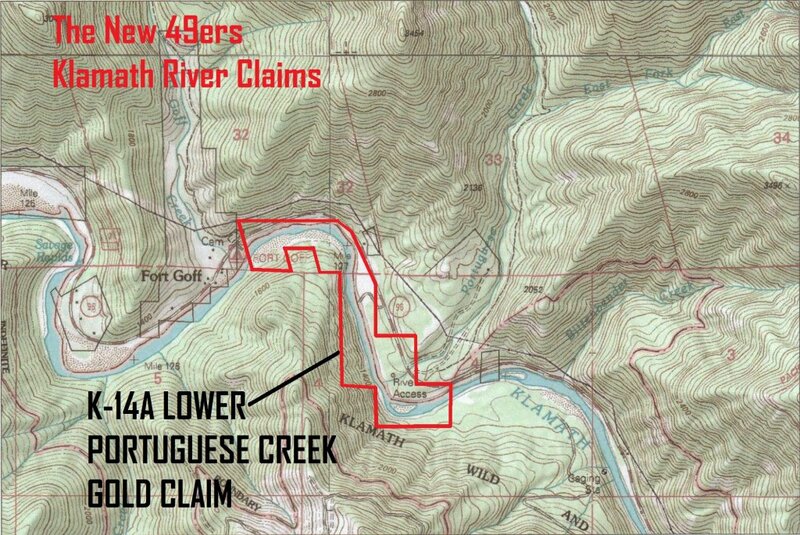 In thirty years on the Klamath National Forest, the Happy Camp, Scott and Upper Salmon River Rangers have never once considered that The New 49’ers, even as a whole group, were likely to create a significant surface impact. Therefore, as an individual, I don’t know why anyone doing small-scale prospecting would believe an NOI would be necessary. As long as you stay within our Operation Guidelines, I personally see no reason why the USFS should take any interest in you at all. They never have before! If you are approached by any authorities, please be careful to ask politely for the person’s name in writing, the department of government he or she works for, and a phone number where the person can be reached. Maybe the person has a business card. If you contact our office with those details, our Internal Affairs staff will be happy to help you to sort it out. The Season is Starting Early this Year! We have an early spring in progress this year. The days have mostly been warm and sunny for the past month. Leaves are budding out on many trees. Flowers are popping out of the ground everywhere. Water in the Klamath has warmed up into the low 50’s already. It is running a bit high from snow runoff. Visibility is about three feet as I write this, though it changes from day to day. My own guess is that with so much of the water running off early, we are likely to have a low-water year on the river. This makes for easier mining and more access to otherwise difficult areas – where Mother Nature hides many of her richest treasures. Increased excitement is also bringing members around earlier than we have seen in many years. Some members are already mining and prospecting. I was posting signs on all the new properties just a few days ago and came upon three members who were using a wheeled cart to move an underwater suction machine into place towards the upper end of our new K-24A property. There was a sense of motivation and quiet determinism in those guys that I have not witnessed along the Klamath River since the 90’s. I’m seeing that same kind of personal determinism in others who are in the office. It is wonderful! Things are lining up in Happy Camp like we are going to have a great season! We are adding Google Earth .kmz links to the Claims Guide: Founding member, Mark Chestnut, has been investing a lot of time to placing our claims into interactive Google Earth links which allow you to move around the properties from a bird’s eye view. We have now posted all these links on the Lower Klamath River properties beginning with K-20, and extending through all of our properties downstream, Mark has also created a file that will allow you to look at all of our properties along the lower Klamath. Check it out! This makes for an excellent prospecting tool. Services for Bill Stumpf: Many of you know that Bill Stumpf passed away several months ago. Bill was a founding member who helped manage The New 49’ers all the way through the 90’s. As our daily tour guide, Bill took untold hundreds of beginners out, taught them to pan, and helped them find their first gold. He ran the weekend group mining projects for many years. Both of Bill’s sons also lived in Happy Camp and operated a commercial dredging program on New 49’er properties for many years. Bill played a big part in helping our program get a strong footing. He had a lot of friends from all over the world. Bill was a strong supporter of our organization all the way to the end. As this was one of Bill’s favorite places, his family has scheduled informal services on Bill’s behalf to take place at the Grange Hall in Happy Camp at 2 PM on 25 May. This will be a pot-luck get-together in honor of Bill. Everyone who knew him, or even those of you who wish that you knew him, are invited to attend. Bill’s wife Jan will be there, along with his sons and their families. No Potluck on June 8: The Grange Hall is pre-booked for another event on Saturday on June 8. Otherwise, we have booked the Hall for all of our other Saturday evening potlucks this coming season from 1 June through August 24.